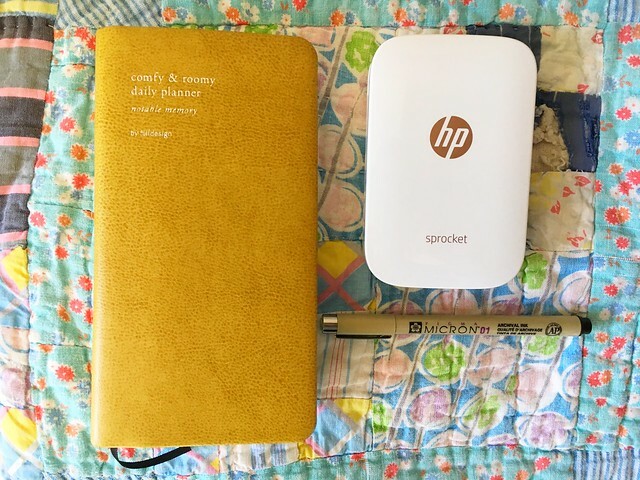 So first of all, that title, “Gratitude Planner”, it’s only because I needed something to title this post. 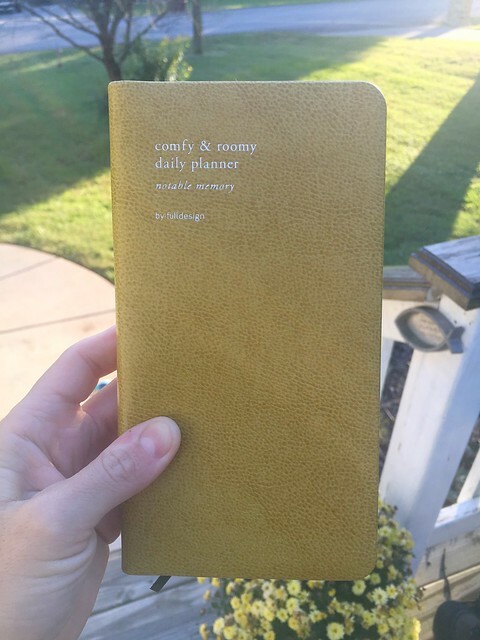 I don’t call my planner my gratitude planner and never did…I’m not that fancy…and I thought “a planner where I can stay organized and recount things to be grateful for each day” was a tad lengthy. Back in October I started looking for my 2019 planner. I have been using a MochiThings planner over the last several years. They are simple and minimal in size and I can always find one that fits my needs for the coming year. So of course, I started browsing through their new 2019 planners to find my match. I try to be honest about grief and since losing Everett I have struggled with gratefulness. Obviously I have much to be grateful for. I take a look around our life and there is goodness at every turn and fold, but grief has been incredibly hard and can easily snuff out the good some days. Not only did we lose our son, but we lost so much more and everyday into this journey reveals more and more of what we lost. This is really hard. It’s hard to process and understand and it’s really hard to find other people who understand as well, so we’ve spent a lot of time feeling very isolated and lonely over the past 18 months. All of these things combined together have made me feel a lot bitter and not so grateful. When I found my planner it was instant love. Like I knew we were meant to be together. It’s been sold out for a while now and I’ve heard from others they’ve actually ordered theirs from out of the country and I was going to share my close contenders, but those are all sold out as well. So here’s the deal, if you want to do this too you don’t need the same planner I have. 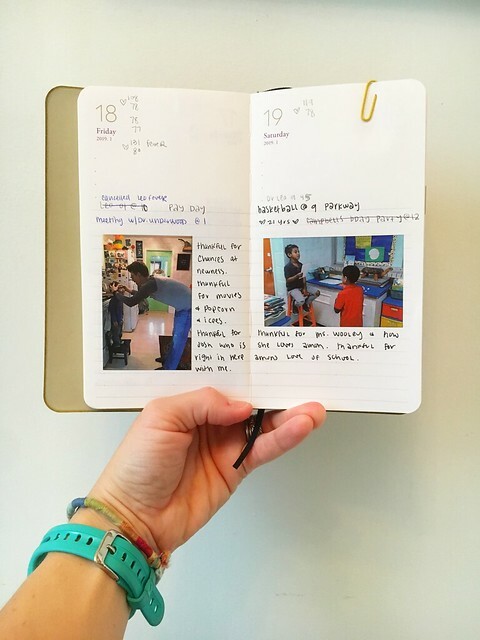 Heck, you don’t even need a planner at all. Grab any old notebook and you’re set. Simple and easy. 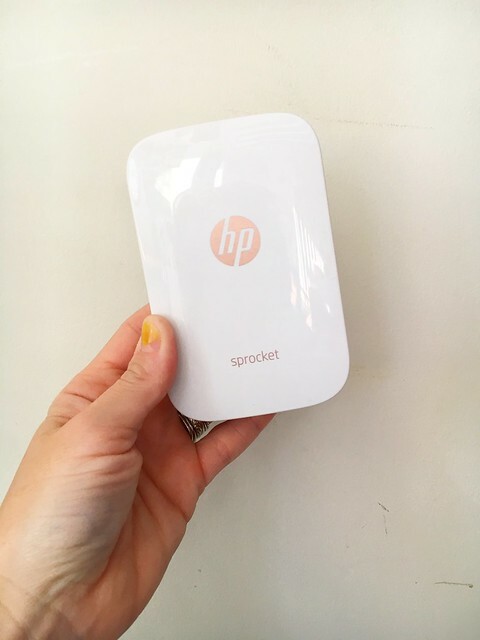 I’d also had my eye on the small HP Sprocket Printer for some time, but needed to right price. It prints photos directly from your phone in a small 2×3 size with a sticky back. I ended up using a Target coupon back in November, but Amazon has it for a great price now too. In my new daily planner I would write down things I was grateful for every single day and print a photo from the day to join it. That’s it. For me, if I wanted to be grateful I needed to practice it. My new planner started in December so I started in December and set to creating a habit of gratitude. Every single day I print one…or two…small photos from our day and write out things I am grateful for. Sometimes I do this at night before I go to bed. Sometimes I do this right when a moment happens and I know I don’t want to forget it like when I ran over a squirrel accidentally and the whole car went crazy and it ended up providing some much needed laughter thanks to Hudson and Solomon’s quit wit. Before I even got out of my car I grabbed my planner and jotted the moment of gratefulness down. The picture doesn’t always match what I’m grateful for because that seems kind of overwhelming, but I do take photos every single day, so I just pick one from our day and add it in. I have successfully completed 2 months…December and January…and I can honestly say I can feel a difference. It’s like my brain is being trained to notice even those tiny minute moments I can be grateful for. Some times my day is terrible…tears, anger, bad parenting, hateful acting parents and kids, the world must be ending kind of terrible and even on those days I can find something to be grateful for like leftover cake or clean underwear. So there you have it my fancy pants gratitude planner. It’s giving me all kinds of good life and I imagine it being something I’d grab if our house ever caught on fire. Thanks for sharing this idea last month. 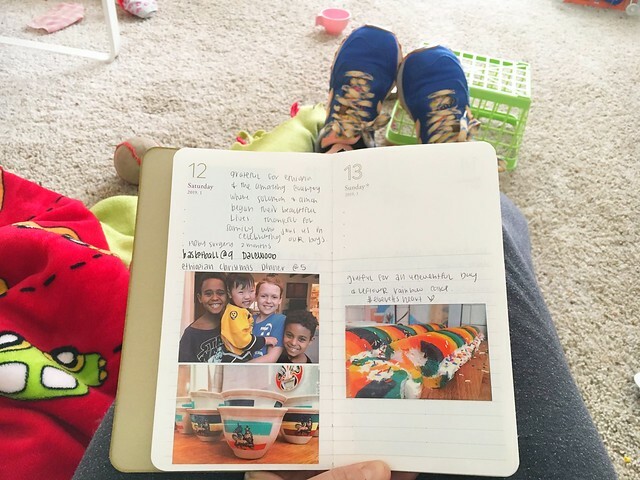 I purchased the planner and printer last month and have enjoyed this daily routine. I can’t even imagine your loss and pain. Everett is thought about so often, his smiles, counter sitting, rainbows, pure love! We hurt for you and with you. 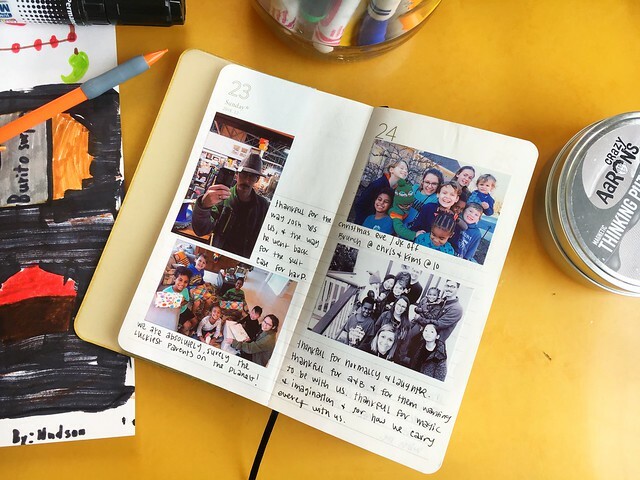 Your instant photos every day is such a wonderful daily memory to treasure forever! You inspire us!